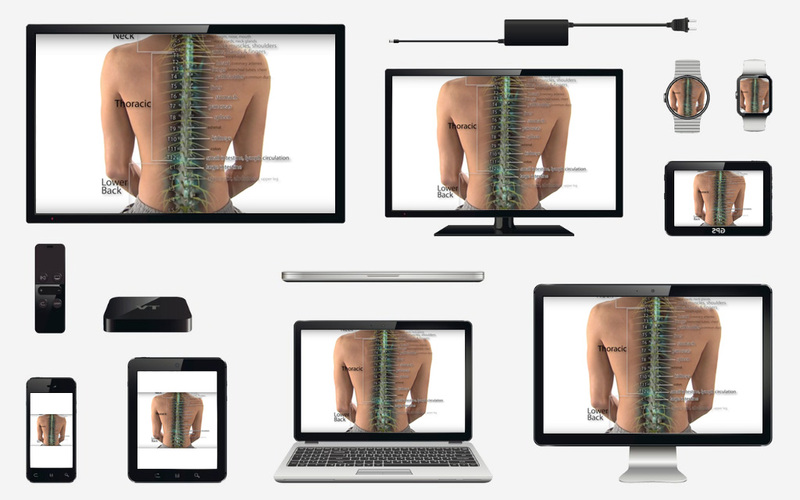 The all-in-one patient education & marketing solution for busy chiropractors. these Educhiro products are the tools. “Educate like an expert right from the start..
ever seen for educating patients. Educhiro shows you what Chiropractic is and does, and educates people so they can choose and trust Chiropractic care. Educhirohelps patients to understand that Chiropractic care supports their health and makes their life richer and fuller. This video demonstrates whatyou can expect on the first visit and the importance of care from acute, tocorrective, all the way to maintenance care, so please don’t miss it. education media in its class that I’ve seen. It has definitely raised the bar. Educhiro does the heavy lifting of patient education for you so you can attract, convert, and retain more patients than ever before. How? With our multi-version and multi-language videos that can be used to quickly and efficiently educate & market to any patient at any stage. You don't need a website. Getting enough patients into your clinic is something that all Chiropractors worry about. Educhiro’s videos can help by making sure your patients “get” Chiropractic care and understand why it’s a better alternative to just popping a pill. And once your patients “get” it, they definitely won’t want to miss that first appointment. Instead, they’ll want to keep coming again and again….and will likely refer their friends and family your way, too. With the click of a button, you can send your patients emails with links to your video straight through our platform. Whether you need a video for new patients, ROF patients, or current patients, we’ve got you covered. Learn more about the versions of our video here. After getting your first month free, plans start at just $39 per month. See more pricing here. We know you help more than just headaches and low back pain, but does everyone else? With Educhiro’s videos, they will. 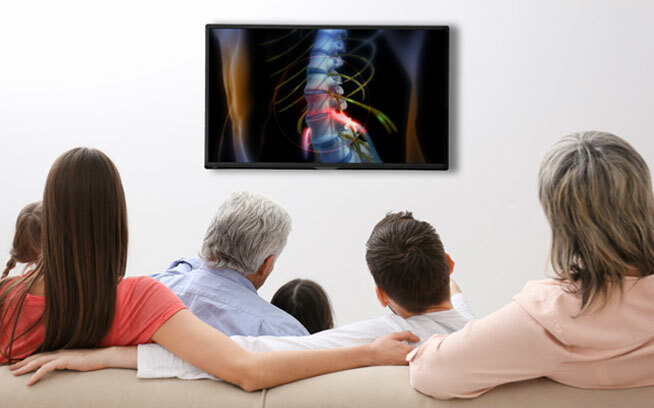 Through engaging, professionally-produced visuals and straightforward, easy-to-understand explanations, our videos make it easy for your patients and everyday people to appreciate the true power of Chiropractic. Although we’ve put in the years of work to make these videos, you get to take the credit. By adding in your logo, name, and clinic address and phone number, you boost your credibility and make potential patients choose you over other Chiropractors. And whether you have a diverse set of patients or operate in another country and want to offer videos in your patients’ native language, we help make that happen with 8 different language offerings. See how it works here. Inbuilt email marketing. Send patients a personal email with your chosen video. Use inbuilt email marketing to attract new patients or pre-educate before visit in the comfort of home or when they're on the move. You will be known for up to the minute communication and your dedication to their health. WATCH OUR VIDEOS ON ANY TV, MOBILE OR DESKTOP DEVICE. Inside your office or out. 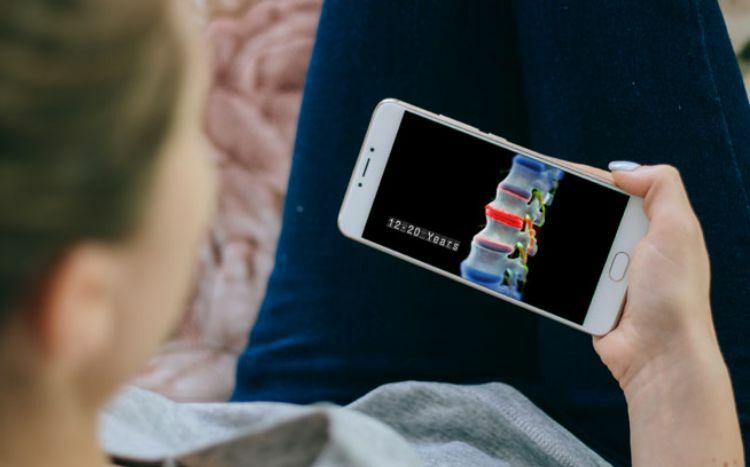 Educhiro videos play on all devices. Your office TV screen, computer, iPad or tablet and mobile phone. Our industry leading videos are the most proven way to educate your patients.